Professional Resume Writing Services in Vadodara. 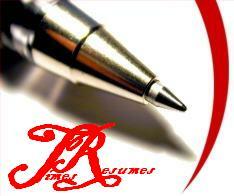 Resume Writing Services in Vadodara (Baroda). Our Expert Professional Resume Writers precisely summarize your key skills, capabilities, achievements, experience, qualifications and personal details, in your resume, targeted to the industry and country that you are seeking employment in. We pay great attention to detail and concentrate on the language, spellings, grammar and format of the resume. Our satisfied customers include students, executives and managers in all cities in India and abroad. Our Professional Resume Writers help you to create a high impact resume or CV to highly enhance your chances to get the interview call. We strive hard in their undying efforts to craft out your resume or CV with expertise, so as to quickly and effectively convey your capabilities, competence and 'strengths' to companies and recruiters, in order to get you short listed for the interview. After several years in the business we can proudly say that we have a success rate of more than 98%. We don't think that you will find many other resume writers out there that can offer you that level of satisfaction. A well-written resume or CV, prepared by our team of expert resume writers, in Vadodara, India can help you to get you an interview to land the job of your dreams. Get Noticed and Short-Listed by Recruiters with the help of a Professional Resume. Get a Free Resume review - Just sent your resume to us via email for a free review.